Cozy and comfortable apartment for a family. All kind of facilities. Very kind personnel. Spacious, clean, tidy and homely. Perfect for what I was looking for. Loved everything to be honest. Staff was great, extremely helpful and the place was spotless. Couldn’t really ask for anything better. I had an amazing stay for long weekend with hubby and 2 young kids ! Host was so accommodating with my late arrival and late check out... great communication and lovely spacious and clean place for my kids to run around. Really equipped facilities and host even left toys for my kids. Great location and highly recommend. Would definitely stay again. Lock in a great price for 2 Bedroom Spacious Apartment - Close to Piccadilly Train Station / Edge of the Northern Quarter - rated 9.6 by recent guests. 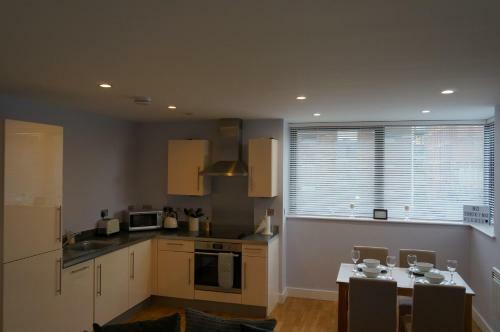 2 Bedroom Spacious Apartment - Close to Piccadilly Train Station / Edge of the Northern Quarter, boasting a terrace, is set in Manchester, 1,000 yards from Manchester Apollo and 0.7 miles from Canal Street. Guests staying at this apartment have access to free WiFi. The master bedroom has a king-size bed, 2 wardrobes and an en-suite bathroom with large walk-in shower with rainfall shower head. 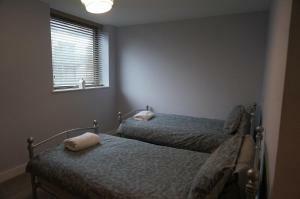 The second bedroom has 2 single beds, 2 wardrobes and the main good sized bathroom is located next door with a shower and bath tub. 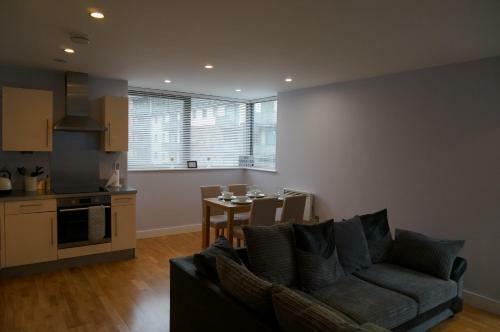 The living area has an open-plan fully equipped kitchen with a full-size fridge and freezer, as well as a dishwasher. 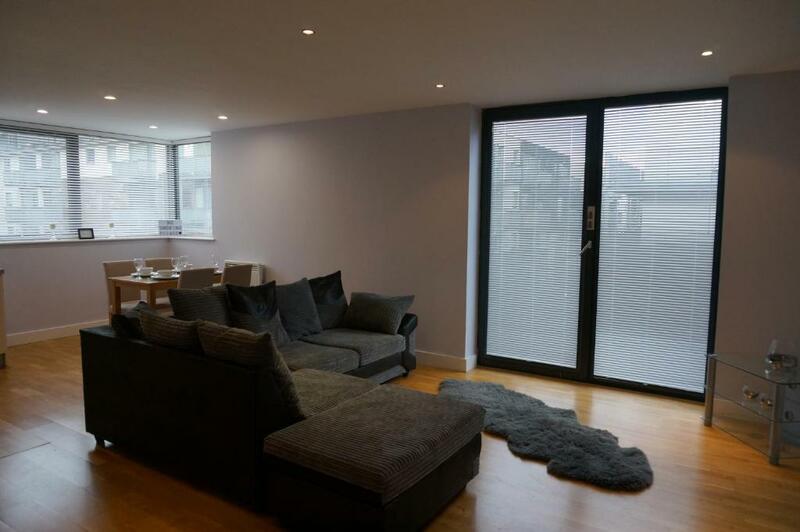 The patio doors in the living room lead onto the balcony area. City of Manchester 'Etihad' Stadium is 0.8 miles from the apartment, while The Palace Theatre is 0.9 miles from the property. Manchester Airport is 8.1 miles away. 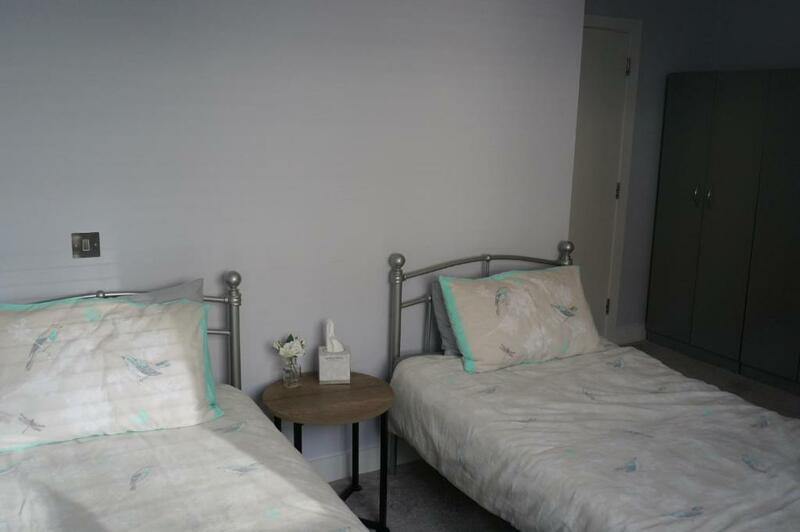 2 Bedroom Spacious Apartment - Close to Piccadilly Train Station / Edge of the Northern Quarter has been welcoming Booking.com guests since 28 Jul 2018. 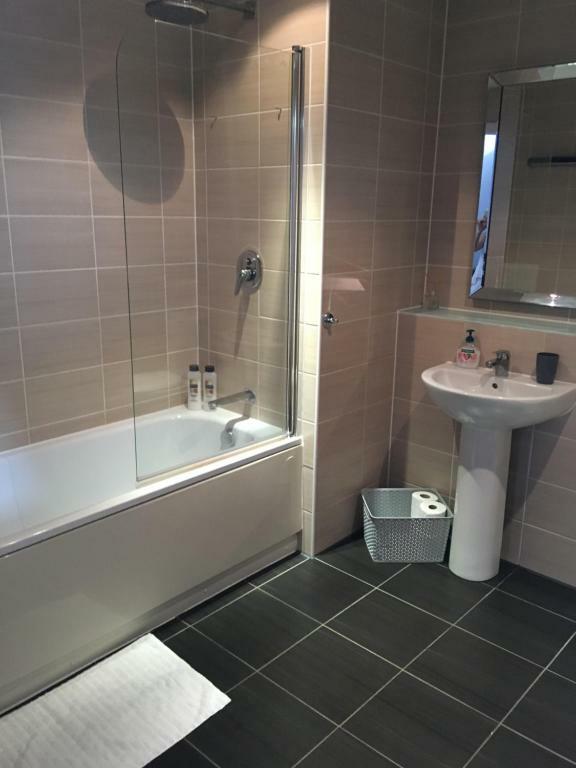 When would you like to stay at 2 Bedroom Spacious Apartment - Close to Piccadilly Train Station / Edge of the Northern Quarter? I like things to be just right as I am incredibly fussy myself. I feel cleanliness is one of the most important things when staying away from home, followed by a comfy bed with nice fresh bed linen. 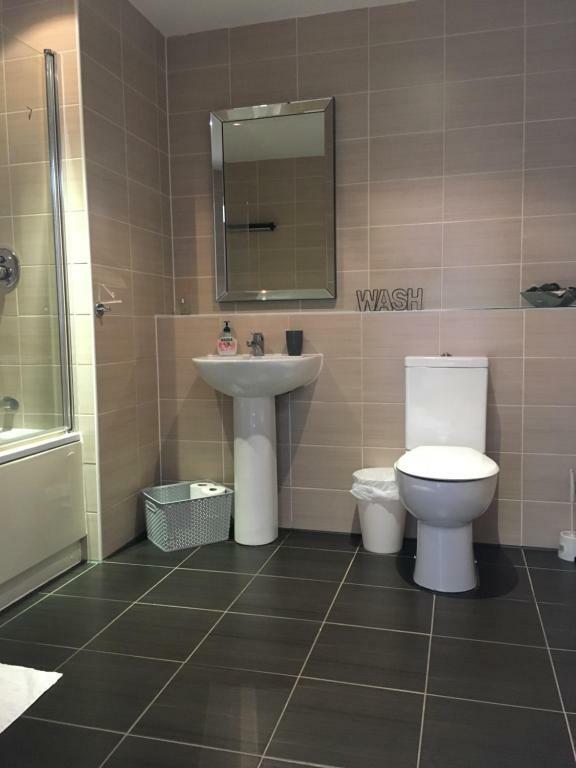 A decent powerful shower helps along with homely, relaxing surroundings. I'm confident I have managed all of this and therefore would be a very happy & satisfied guest if I were to stay here myself. Costa Coffee & Dominos Pizza are within a very short walk as is a corner shop selling general groceries and alcohol. Aldi is also within walking distance. Dessert Bar, Barbers, hairdressers & makeup salon are also within a short walk. 24 hour Asda is a short drive away. 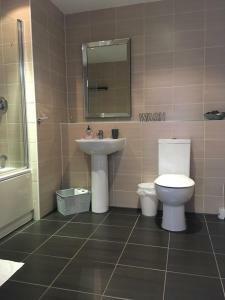 Good access for all parts of Manchester City Centre. I am happy to help provide details of my favorite places to eat and drink. Provide info on where other traveler's visit whilst staying here. Offer assistance with arranging taxi's and generally help make you trip to Manchester a great experience. House rules 2 Bedroom Spacious Apartment - Close to Piccadilly Train Station / Edge of the Northern Quarter takes special requests - add in the next step! A damage deposit of GBP 200 is required on arrival. This will be collected by bank transfer. You should be reimbursed on check-out. Your deposit will be refunded in full via bank transfer, subject to an inspection of the property. The owner of the app was out to scam us out of our damage deposit despite us leaving the apartment spotless. This was hassle that we didn't need. Its only because we are not easily deceived that she paid back the Deposit. We would never stay there again. It was over priced for what it was too. It was also not very homely. 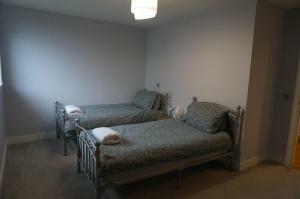 Too much washing powder was used on the bedding, it gave me a sore throat and chest as the smell was over powering. It was clean and in a good location. Having tea coffee and milk provided. The host was a star, very friendly and helpful. Could’ve done with a few coat hooks in the entrance hall!! Service is fantastic. Very helpful.